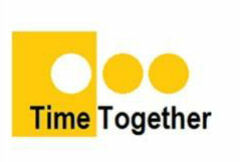 Time Together are always looking for talented, hard working individuals who would like to join our small but friendly team providing flexible and professional support. If you would be interested in hearing about any current vacancies please get in touch. We are open to enquiries from individuals seeking either full time or part time hours. Applicants should possess good communication and interpersonal skills, a positive and proactive attitude and the ability to use their initiative. Previous experience is advantageous but not essential as individual, on-going training and support is provided. Due to the nature of work a full, clean driving licence and use of own car is essential (business insurance required). Support workers are required to work regular evenings and weekends. Any position is subject to a clean, enhanced DBS check.